ANTARCTIQUE Mount Erebus - Norwegian Roald Amundsen and Englishman Robert Falcon Scott were the explorers who led teams of their countrymen on grueling journeys across the frigid continent in an effort to be the first to go where no man had gone before. Amundsen won the race, reaching the pole on Dec. 14, 1911. Scott also made it there, on Jan. 17, 1912, but perished with the remainder of his crew on the arduous trek back to the edge of the continent. 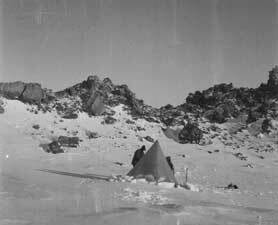 Scott and his team camped on the slopes of Mount Erebus, the southernmost volcano, during their journey. The spot was known as "the highest camp," according to a National Science Foundation release. Oppenheimer, a volcanologist at Cambridge University in England and working at Erebus as part of an NSF team, found what he thinks is the same camp site using written accounts and historic images from the Scott Polar Research Institute in Great Britain, the NSF release said. The site Oppenheimer located features a ring of stones where a tent once stood and appears to match historic photos taken during the 1912 expedition. 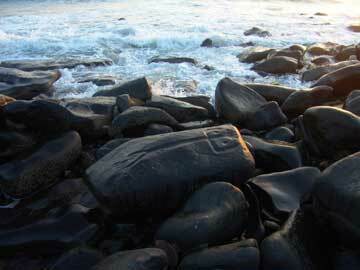 The area will be recorded and searched to look for artifacts from the original expedition. Tents and other sites from early 20th century expeditions have also been found and preserved, some with a wealth of artifacts. TURQUIE – Marmaray - Excavations conducted as part of the Marmaray Project, which will connect Europe and Asia with a railway tube under the Bosporus, continue to shed light on the history of İstanbul, having facilitated the discovery of around 40,000 historical artifacts since 2004. Zeynep Kalkan, director of the İstanbul Archaeological Museum and head of the excavations, stated that 90 percent of the excavations have been completed. They have been carried out by 500 workers and 60 experts since 2004. 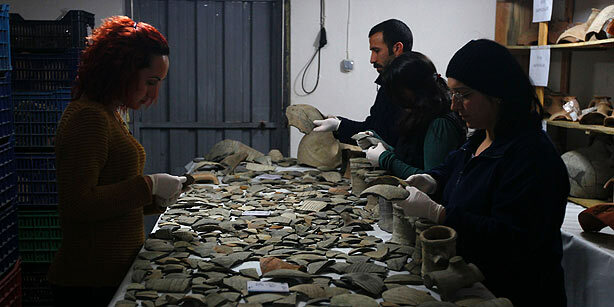 Around 40,000 historical artifacts which revealed the 8,500-year history of İstanbul have been discovered by the excavation team. Since the beginning of the excavations various kinds of relics have been found such as skeletons, church ruins, water wells and footprints. One of the most prominent historical artifacts that has been unearthed is the fourth century port of Theodosius belonging to the Byzantine Empire. Nearly 1 million cases of earthenware pots and plates have been uncovered thus far. All the pieces undergo classification and, if possible, broken pieces are restored. During the archeological dig, 36 sunken ships -- 30 of which are merchant vessels equipped with sails and five of which are galleys propelled by rowers -- that sank between the fifth and 11th centuries have been uncovered. The excavations, which have continued uninterrupted for eight years, have revealed artifacts from various historical periods, the most recent being the late Ottoman era, while objects from the early Ottoman, Byzantine, Roman and Classical periods have also been discovered. USA – Plymouth - Imagine peeking into an old garden shed and discovering the oldest woodworking shop in United States. The discovery was entirely accidental. Garrison and Michael Burrey were in the process of revamping Garrison's 19th century house in Plymouth, Mass. 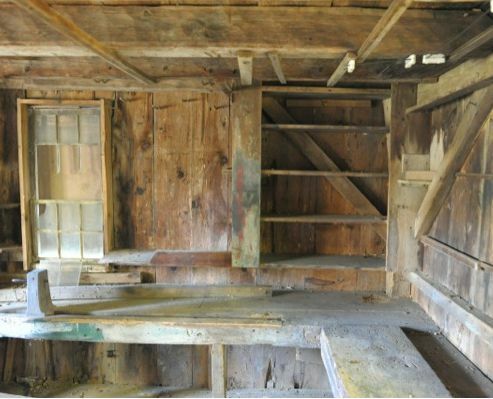 Burrey was also working on a project at a local preschool in Duxbury, Mass., where he discovered what turns out to be a 18th century joiner's shop. The shop provided all sorts of clues to its uses and even the local ecology 200 years ago. And although the school used the shed, many of the features of the shop are essentially untouched. The original workbenches, for instance, are still intact and in good condition. Those benches show different kinds of uses and even the woods they were made of contain clues about the local forests in the 1700s. There was also a conspicuously removed fireplace. PALESTINE – Battir - The future of an ancient agricultural landscape, incorporating extensive stone-walled terraces and a unique natural irrigation system, could be decided on Wednesday when a petition against the planned route of Israel's vast concrete and steel separation barrier is heard by the high court. 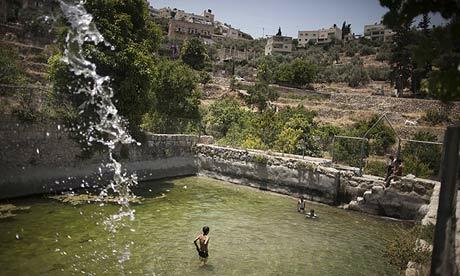 The terraces of the Palestinian village of Battir, near Bethlehem, are expected to be declared a world heritage site by Unesco, the United Nations' cultural body, in the coming months. But, Friends of the Earth, which filed the petition, says Israel's decision to construct the West Bank barrier through a valley running between the terraces threatens to inflict irreversible harm to the landscape. The trees and crops planted on the terraces, which stretch for more than 325 hectares, are fed by a natural irrigation system dating from the Roman era, which channels water from seven springs and is worked as a co-operative by the eight main extended families of the village. MEXIQUE – Las Labradas - Un récent décret présidentiel vient de faire des Labradas une zone de monuments historiques. Parsemée de quelques 640 gravures rupestres, la plage a connu des passages très anciens, peut-être vieux de 4000 ans ! La datation reste cependant difficile à déterminer dans la mesure où les éléments carbone sont plutôt limités. Des fouilles effectuées sur le site de La Chicayota à quelques encablures de Las Labradas confirment une présence sédentarisée seulement à partir de 700 de notre ère. L'iconographie est variée : on retrouve aussi bien des images anthropomorphes qu'animales ou que des motifs géométriques (cercles, disques, lignes, points, croix et autres rectangles). Selon une hypothèse proposée par William Breen Murray, archéoastronome et spécialiste d'art rupestre, certains glyphes pourraient même se référer à d'autres événements astronomiques : le site de Las Labradas est situé seulement 30 kms au sud de la ligne du Tropique du Cancer. MEXIQUE - Ometepec - D'après un communiqué de l'agence de presse Notimex repris par le quotidien El Universal, une équipe d'archéologues mexicains dirigée par Blanca Jímenez Padilla explore les environs de la commune d'Ometepec, situé sur la Costa Chica du Guerrero, état côtier du Pacifique. Le site découvert aurait une superficie supérieure à Monte Albán, dans l'état voisin de Oaxaca, et aurait six terrains de jeu de balle et ce qui semble être une grande place. L'INAH a multiplié les fouilles de surface le long des côtes du Guerrero. Les archéologues estime à 10000 le nombre de sites dans cet état. 3000 ont été enregistrés dans les dernières années. Au moment où nous rédigeons ces lignes, l'INAH n'a publié aucun communiqué sur son site, si bien qu'il convient de prendre cette information avec beaucoup de prudence.